I'm back! 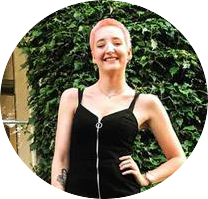 I've been a bit absent on the blogging front in 2018 and I feel like an explanation is due: I've just completed my journalism degree from Cardiff University (with a first - yay!) but this was a very essay-based course and so I was spending so much time writing academically that I wasn't feeling the desire to write for pleasure. Also, I sadly haven't been attending as much theatre as I have done in previous years. Again, this is partly because I've been a student and have been trying to save some money for the future, and hey - getting to London from Cardiff by train is damn expensive! I guess the final reason for my lack of theatre blogging enthusiasm has been due to the fact that since December I've been working in a theatre. I spend a lot of time soaking up the atmosphere of the theatre (that pre-show buzz, whisperings about upcoming shows etc) but as I'm working I don't get to see much, so there just hasn't been too much for me to write about. In the past couple of weeks however I have seen two stunning shows in London that have really got me excited about theatre again. On the 1st July I saw Heathers at The Other Palace and adored every aspect of it - I was so excited that just a few days later they announced a West End transfer for which I will definitely be getting tickets. 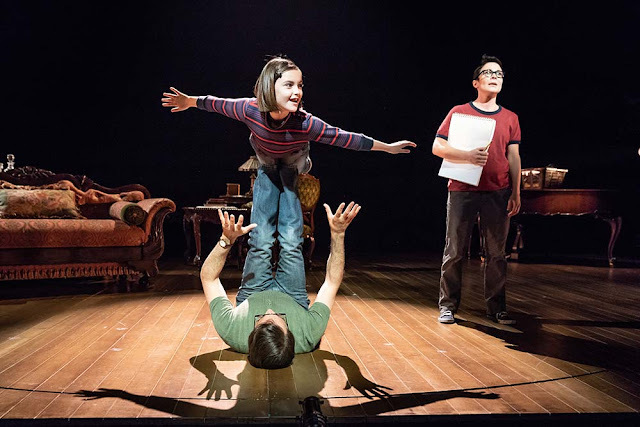 Secondly, and what I really came here to talk about, is Fun Home which I saw yesterday (Saturday 7th July) at the Young Vic. I've been listening to the music from Fun Home for so many years (the Broadway cast recording was released in 2015 but there had been recordings of many of the songs previously) that I really knew the show inside out. I'd watched clips on YouTube and - dare I admit it? - a bootleg recording of the Broadway production a couple of years ago. I'd really made peace with the idea of never seeing it live so when the Young Vic's London production was announced you can imagine my excitement, immediately booking tickets just under a year in advance. Seeing so many positive reviews of the show has really filled me with so much joy. I feel such a personal connection to this show that I find difficult to explain. Growing up, my life has been nowhere near as turbulent as Alison Bechdel's (the true story on which the show is based) but the themes of finding your identity and seeking acceptance are ones that I can relate to - realising I was bisexual and trying to find acceptance not only from others but from myself too is something I see in portions of Fun Home: Young Alison singing 'Ring of Keys' after she sees a butch lesbian for the first time and recognises something of herself there, Medium Alison saying that she doesn't fit in with the 'real lesbians'. Obviously I haven't had these exact experiences but the emotions that these moments conjures up resonate with me. It was also London Pride yesterday, and in some ways that made it extra special. Many audience members were dressed in their finest rainbow gear and I could just imagine them feeling much like I did watching the show. The production overall was just so enjoyable. It was my first visit to the Young Vic and I really enjoyed the theatre space, as I think you'd get a good view from wherever you sit. 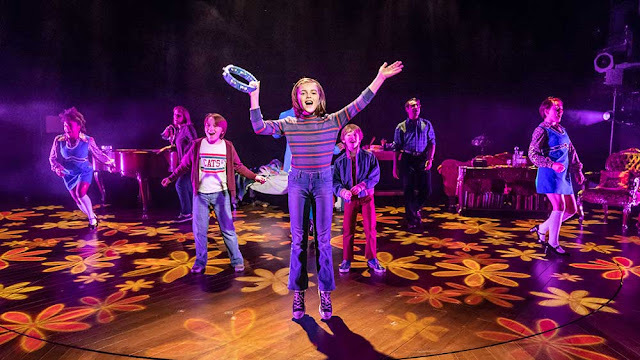 The Broadway production was set in the round which worked really well, but I thought the use of the revolve at the Young Vic was really great and there's a scene change towards the end of the show that really wowed me - if you've seen it, I'm sure you'll know what I mean. I knew I liked the music and the story but seeing it all come together as one stream of consciousness right in front of me was wonderful and I thought the whole cast were spot on. I took my Mom with me (she knew nothing about the show before I got the tickets) and she tells me that she really enjoyed it too - although I know for a fact she didn't cry as much as I did! I know this has been quite an in-depth post for my return to blogging but I feel satisfied to finally get some of the things I've been thinking about blogging and feeling about this show out of my head on onto the page, and hopefully I'll be a bit more regular with my posting from now on. Fun Home is running at the Young Vic until the 1st of September. Many of the performances are sold out but there is limited availability throughout August, so if you want to see it I recommend booking soon. Check out the Young Vic website for tickets and more details.